Help Charlie preserve a historical Saratoga monument. One of the oldest skateparks in the country! We are advocating legal remedies only. 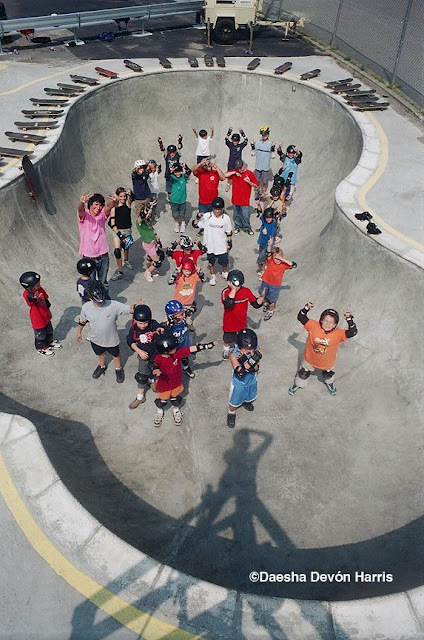 This is a story that has cost almost $30,000 to a city… Fran Love and her son Todd Koch, the one-time owners of Jah Skate and Reggae Shop, helped build the Saratoga Springs skateboard park in 1989 as the first municipal one in New York state. The city installed the big bowl there in 2003 for more than $25,000, which it is still paying off. No one is exactly sure why the city in March 2010 shut what some skaters call the "holy grail." Reasons for burying the bowl varied, including it had ugly graffiti, lacked supervision and was an insurance liability. 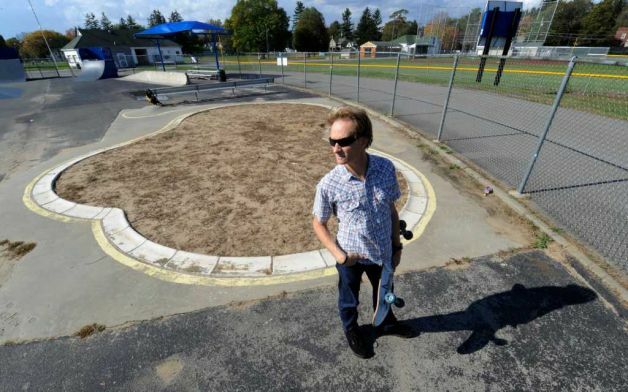 But a couple of weeks ago, a skater named Charlie Samuels decided to go in front of the city counsel to deliver this discourse… "Don't worry -- I timed this out at a minute and a half. My name is Charlie Samuels, I'm a photographer and skateboarder who lives at 58 Court Street and I, and over 3000 other skateboarders are doing all we can to get the skate "bowl" reopened and specifically -- we are aiming to dig it out before the ground freezes to prevent any possible winter damage occurring to an incredible $30,000.00 exercise facility -- THAT is our immediate goal. Last time I was here Commissioner Franck agreed and lived up to his word by meeting me for coffee and he told me a bit about how things work here. Then I was able to meet with Marilyn Rivers and she invited me to make a presentation at this Thursday morning's Safety meeting. Thank you to both of you. Since then, I'm happy to report that almost every one of the council members has reached out to me and/or returned my calls. I sincerely appreciate that. Now that we have all had a lot of time to think about this issue, it's my hope that all council members will support re-opening the "bowl". I'm confident that my Safety presentation will convince everyone that the bowl can and should be re-opened and I'd really appreciate it if everyone here attended. I'd also like to re-quote Commissioner Franck by saying "If we can put a man on the Moon, we can put a skateboarder in the bowl." Thank you for your cooperation." At first, nothing happened, but, a couple of days agom Charlie posted on Facebook: “I think we scored a major victory today - Benj and I gave a presentation about NY cement skate pools at a City safety meeting where 15 city officials unanimously voted to "support the concept of re-opening the skate bowl and we request the appropriate entities within the city government to review the request." So I think this means that it's now up to the School District who has said publicly that they would "leave it up to the City" so let's hope we passed the biggest hurdle so we can dig it out before the ground freezes.” He added “PLEASE LIKE: "Save the Skatepark" on FB”.